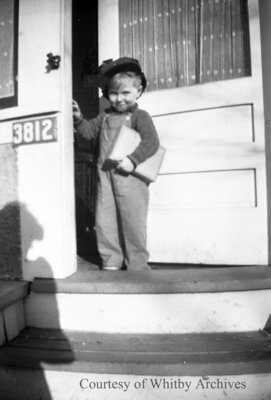 A black and white medium format negative of an unidentified young child standing outside an open door. In this view the child has a book tucked under his arm. Unidentified Child, c.1940s, Marjorie Ruddy. Whitby Archives A2013_040_410.